Celebrated author Reynolds Price died today at the age of 77, as the result of a heart attack he suffered on Sunday. Price was the James B. Duke Professor of English at Duke University, where he taught for more than 50 years. He was known as a prolific writer who produced nonfiction, poetry, plays, essays, and fiction, including the novel Kate Vaiden , which won the National Book Critics Circle Award in 1986. His most recent book was his third memoir, Ardent Spirits: Leaving Home, Coming Back , published in 2009. Less well known is Price's work as a lyricist: He collaborated on two songs with his friend and fellow North Carolinian James Taylor. The collaboration between Price and Taylor goes back to 1982, when Taylor wrote the score for a PBS television production of Price's play Private Contentment. . . . The first song Price and Taylor wrote together was "Hymn" in 1988. Taylor had wanted to write a song for the retirement of an old friend, Bishop Paul Moore, and Price suggested they write a hymn. He then wrote the lyrics to "Hymn," which can be found in The Use of Fire (1990), and Taylor added the music (it was recorded several years later under the name New Hymn on Taylor's Live ). 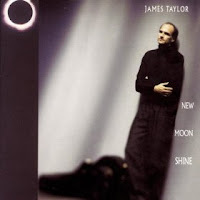 The other song, Copperline which they cowrote in 1991 while Price was staying with Taylor at his Connecticut home, can be found on Taylor's New Moon Shine CD.